This study aims to identify the influences of strategic information systems (SIS) on the relationship of innovation (exploration/exploitation), ambidexterity and organizational performance (OP). 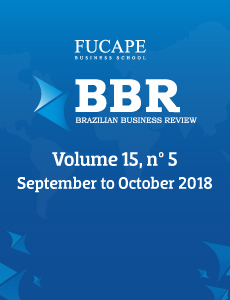 We used the statistical technique of Partial least squares path modeling (PLS-PM) with a sample of 256 Brazilian companies from different sectors. The data revealed that exploitative innovation was positively associated with OP. As a result of the study, it was confirmed that a strong SIS presence increases the influences of innovation (exploration and exploitation) and ambidexterity on OP. Ambidexterity was positively associated with OP and presented higher path coefficients compared to the relationships between exploratory and exploitative innovation and OP. This relationship shows that ambidextrous organizations have higher OP. The study also confirmed that 96% of ambidextrous organizations have a strong SIS presence. This study may have implications for the management practices of organizations that use SIS in their strategic planning stages by enabling innovation focused on improving OP.